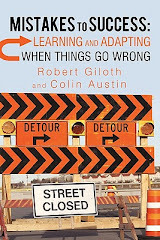 Bob Giloth's Blog: Summa Philanthro? "Philanthrocapitalism is an interesting idea, but there's no evidence to support the wilder claims that are made for its influence and impact, and little logic that demonstrates why business thinking should be more effective than other approaches to fostering social change." This statement doesn't represent the tone and argument of most of the book, but it's my takeaway. And a good one. I hope others will appreciate the books provocative appraisal of philanthrocapitalism in all its guises. As we reflect on social change, we need to guard against fashion cycle solutions while remaining open to new ideas, some of which challenge our current approaches. 1) I get the sense, in the end, that Edwards doesn't really like business, markets, or capitalism for that matter. Maybe its just a matter of tone or trying to rebalance the unbalanced. Almost any positive achievement of capitalism is begrudingly noted -- and contrasted with civil society. 2) This book is about civil society, but there is not much of a conceptual framework that helps us understand the differentiated roles of everything from a ladies auxillary to community organizing or international NGOs. Are these all positive roles? Can civil society be detrimental to social justice? Do we have evidence about their impacts? Is the nonprofit sector's performance all that we hope? I know, that's another book, but this book requires a stronger argument in light of the critique of philanthrocapitalism. 3) Moreover, we move back and forth from domestic U.S. issues to international aid as if these challenges and responses represent, at heart, a similar set of problems and solutions. I'm not sure. 4) I was discouraged by the lack of discussion about politics and the role of government. Sometimes these important domains seemed to be subsumed under civil society, but that conflation makes little sense. Can civil society substitute for stable government? Can politics be reduced to civil society? I raise these only because the book is concerned about the big theme of "social transformation." 5) I have a minor objection about the lack of attention to the worlds of families and workplaces, in which we spend a lot of our time. Some would argue that these realms are more important than geographic communities in many instances. Again, if we're talking social transformation,what's in and what's out? 6) Finally, why get so worked up? Yes, I agree, the philanthro folks are annoying, take up a lot of space and air time, and hurt the feelings of many of us doing the same old wonderful nonprofit investing. I suspect the discernable impact or distortions created by their approach may be more international than domestic U.S. And lack of resources for community organizing or other civil society efforts face hurdles beyond philanthrocapitalism. Many traditional foundations do not support these efforts -- and I suspect they represent more total resources. Is this just part of the battle to control the "$55 trillion" in wealth transfer likely to occur in the next forty years, at least before the Great Recession? Is this a worthy goal for social transformation? How much of it can be nudged? The book ends with some good ideas about "citizen philanthropy." But shouldn't this approach receive the same vetting as philanthropcapitalism?